Richard plays dulcimer and bouzouki on a large selection of the instrumental backing tracks to the spoken word pieces, which he arranged and performed as a duo with his musical collaborator, Mick Tyas. Richard is an accomplished multi-instrumentalist and instrument maker from County Durham who has been performing traditional music for many years. 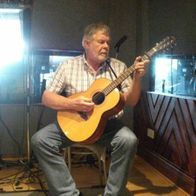 In 2009, he co-founded acoustic folk trio Tippin The Wink with his wife Sylvia and Mick Tyas, becoming a regular fixture on the North East of England folk club scene. 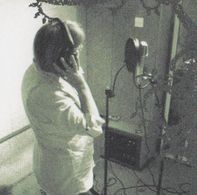 Sylvia sings lead vocals on Wicked Old World and backing vocals on Three Mad Martins (Prophecy). 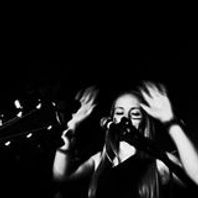 Sylvia is one-third of acoustic folk trio Tippin The Wink with fellow Mad Martins Performers Richard Doran and Mick Tyas, releasing their acclaimed album The Devil's In The Detail in 2011. 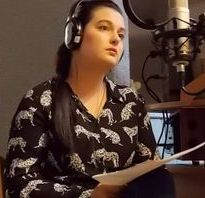 "Singer Sylvia Doran, has a voice which is both soft and gentle which is particular mesmerizing". (Sophie Stratford, Lancashire Telegraph, 24 Nov 2011). Jennie is an accomplished musician, as well as a highly-skilled artist, sculptor, community arts practitioner and tutor. Her fiddle playing defines the songs The Leaping Swordsman and Maria's Testimony and greatly enhances "Shoot The Bishop!". 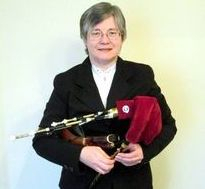 Ann performs northumbrian pipes on many of the spoken word pieces. Karen sings lead vocals on A Thin Veneer in a duet with Gary. 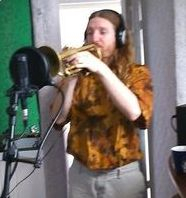 Trevor plays trumpet on Medals.